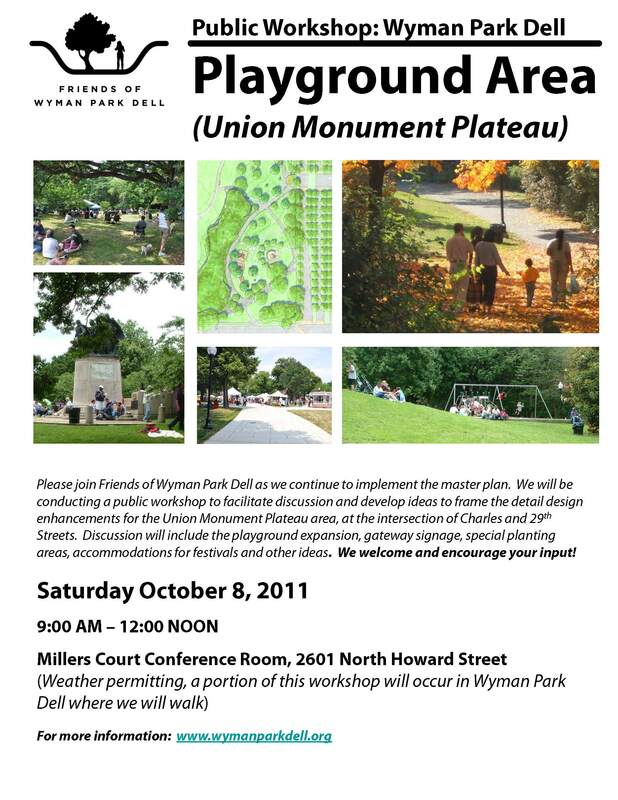 Please join Friends of Wyman Park Dell as we continue to implement the master plan. We will be conducting a public workshop to facilitate discussion and develop ideas to frame the detail design enhancements for the Union Monument Plateau area, at the intersection of Charles and 29th Streets. Discussion will include the playground expansion, gateway signage, special planting areas, accommodations for festivals and other ideas. We welcome and encourage your input!